Episode 025 features an interview with Melissa Fraterrigo, writer and director of the Lafayette Writers’ Studio. Melissa is the author of more than forty short stories, nonfiction essays and reviews. A lifelong teacher, Melissa has a deep love for all forms of story. She founded the Lafayette Writers' Studio in Lafayette, Indiana in 2014 to help local writers develop their voices while benefiting the community at large. Melissa’s personal website is http://www.melissafraterrigo.com and you can read about the Lafayette Writers’ Studio at https://www.lafayettewritersstudio.com/home.html. Melissa gave us an impromptu reading from a passage of the book! And she later refers to her Look-up, Brevitymag.com, a website that publishes written works of 750 words or less. Check out this episode! And please check out the links to our guests and discussions. Remember to find/like/follow us @ArtTapPodcast on Facebook, Twitter, and Instagram. 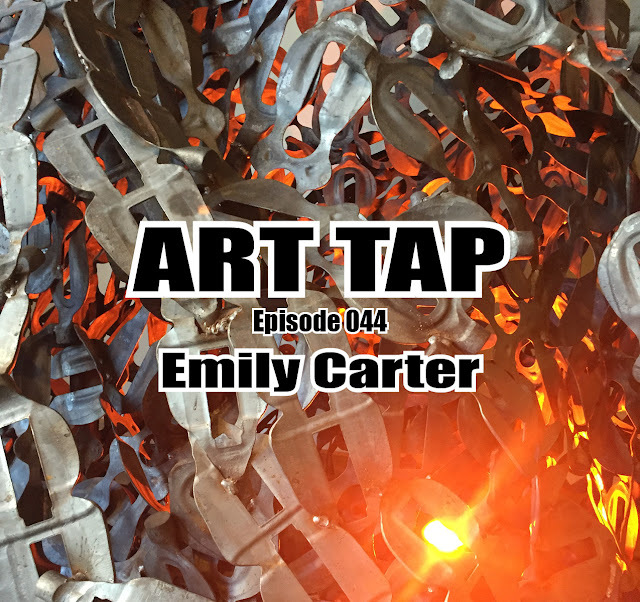 And ART TAP is now available on iTunes! Look for it, subscribe, and leave a rating and review. I’d love to have your feedback.Check out this episode!